The fixed cabinets in your kitchen and even the cabinets and shelves in your furniture collect dust over time. Even though these are enclosed spaces, dust still manages to build up over time. Take the time to wipe down and dust the inside of your cabinets about once a year. The outside of your cabinets get dirty from cooking and hands that open and close them. 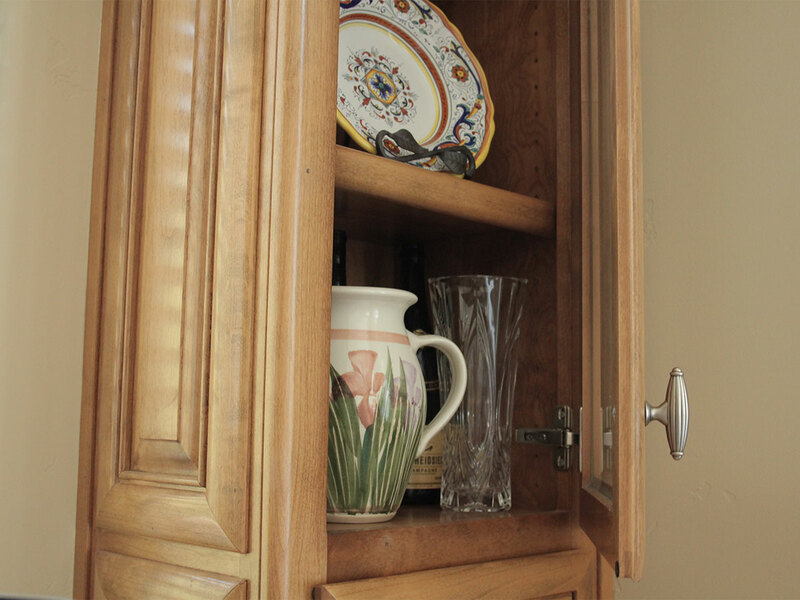 You can use a mild soapy solution or even a water and vinegar solution with a sponge to wipe down the cabinets. Make sure to get into the ridges of the cabinet face. Take a dry towel and dry off any remaining dampness on the cabinets. If you want to shine them up, you can use a mineral oil to rub into the wood faces to keep them looking like new. Here is a video from Essortment. You might also consider taking things out of the cabinets and wiping down the shelves with some paper towels and an all-purpose cleaner.